Thank you to all of the Clayton County Master Gardeners and everybody involved in this project for the support in the Eighth Annual symposium. We Couldn't have done it without your help. Thank you for this wonderful experience. I hope you enjoyed it as much as we did, Luna's lillies, Inc. and staff. 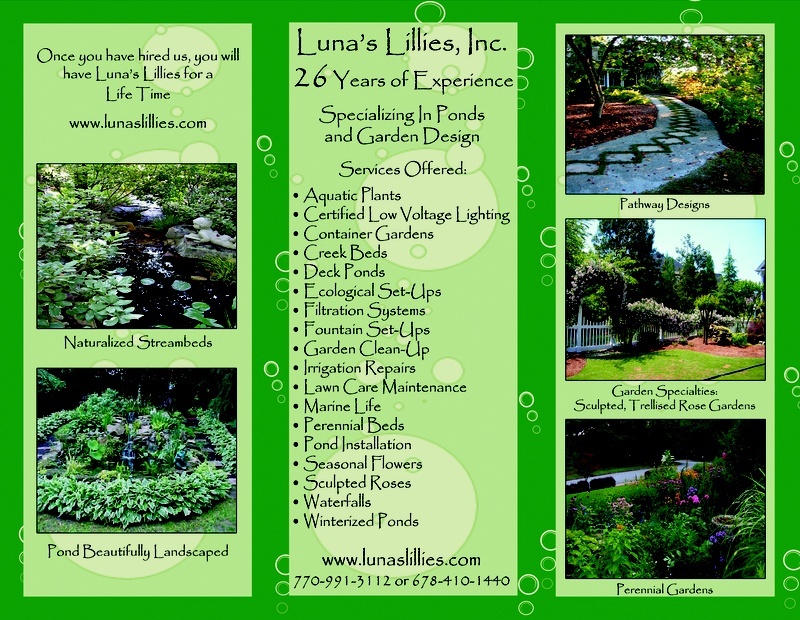 Welcome to the Gardens of Craig Luna and Luna’s Lillies, Inc. While meandering around and through this quiet neighborhood, you approach a white picket fence that fronts a white ranch-style home that is full of color. Keeping in mind the word “color,” my little home is filled, inside and out, with vibrant hues. Wherever your eyes guide you, my gardens feature flower beds exploding with height-of-the season colors, accented by garden art and decorative elements. All of this brings intrigue and compliments the natural splendor of this groomed landscaping. This garden provides the visitor with endless ideas for adding a water feature to any size space. Be it a gurgling vase or multi-levels of urns spilling into a small container pool, there is a water garden for anyone. The pathways leading from the ponds offer two stone benches that invite you to sit and take in the natural splendor. You are then drawn to the wide expanse of decking adorned with decorative pots and trickling water features. Once on the deck, you are immediately presented with how all of the elements in Craig’s Gardens --- an oasis of nature by nature, for nature lovers - - - come together. With the setting of the sun, Craig’s Gardens take on yet another dimension with the addition of precision illumination of professional outdoor garden lighting. The true magic of the gardens then becomes most apparent when the natural light ends, and my talents begin. 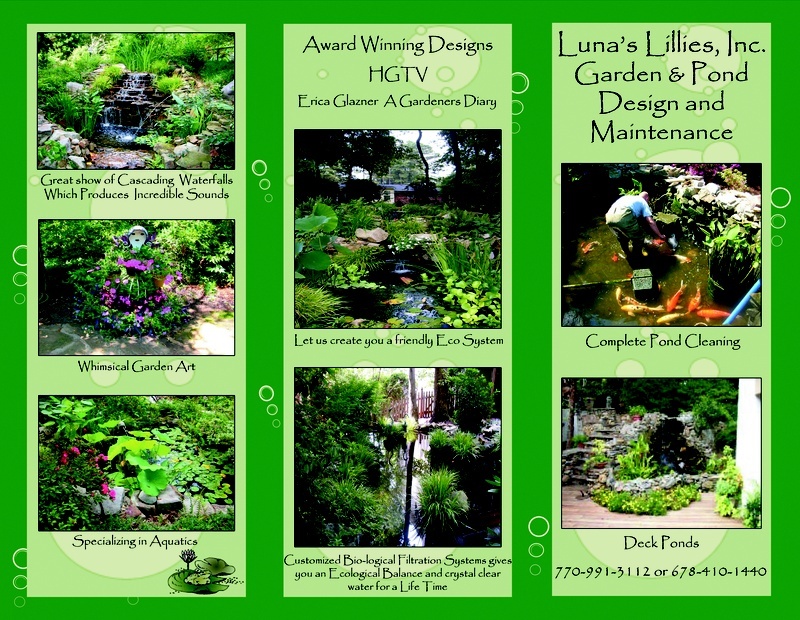 By visiting my gardens, you have seen a showcase of the many facets of who I am - - - a master landscaper and water garden designer. These Southern gardens can be a constant joy of any home, condo, or apartment dweller. You have been welcomed, and I thank you for your visit to my home of color.